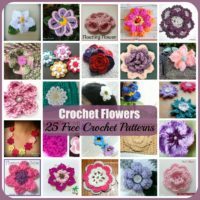 I’m a little late this month in posting my pattern for the 2017 Granny-Spiration Challenge by EyeLoveKnots. 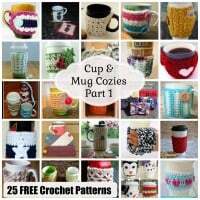 This month you have a chance to win 5 free crochet patterns from The Hat & I. 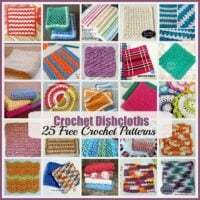 See Alexandra’s post here for more details and to enter the giveaway. 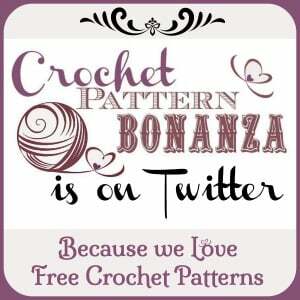 Plus, you get to see other designers and their pretty granny designs when you visit her blog. 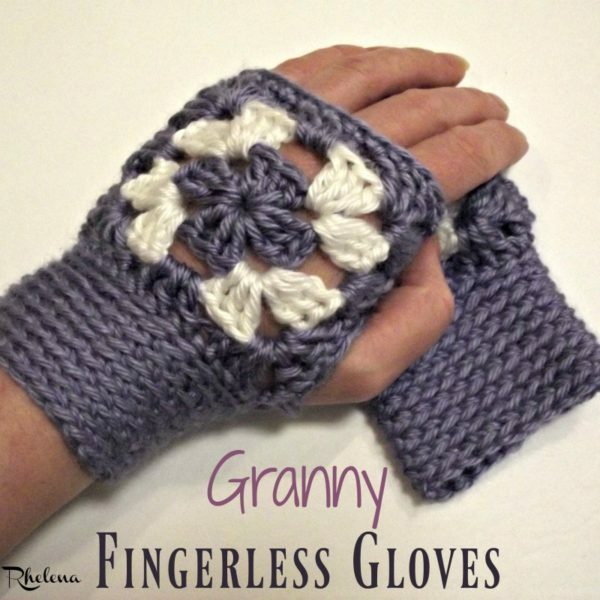 So on to today’s free pattern… these gloves work up quick and easy. The most time consuming part of these is probably the weaving in of the ends. 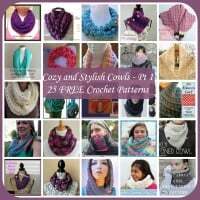 It’s a great stashbuster pattern, and can be adjusted in size by switching up your yarn and hook size. Although simple, I’ve included a few images to help you along. Finished Size: 3.5″ across by 5″ long. 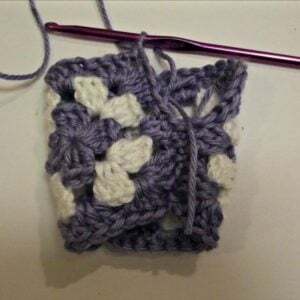 If you need a large size use a thicker yarn and larger hook. The cuffs are designed for a nice snug fit and are a wee bit hard to get on and off the hands. 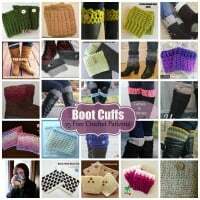 If you need a wider band you can add a few extra stitches, or add a ribbed cuff by using the following tutorial as a guide: How to Add a Vertical Ribbing. 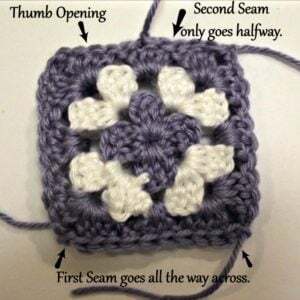 With CA and WS facing out, sl st to join along one side of the granny squares beginning and ending in the ch-2 corner sps. FO. Continue with CA and WS facing out, sl st halfway across opposite side leaving an opening for the thumb. Again, begin your first sl st in the corner ch-2 sp. FO. 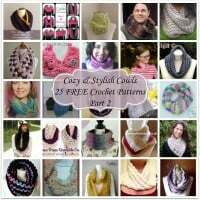 Join yarn with a stsc to any st, sc in next st and into each st around; join with sl st in first sc. FO. 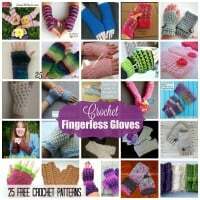 If you enjoyed this free pattern you might also enjoy more patterns for Crochet Fingerless Gloves on CPB. Simple, yet so pretty. 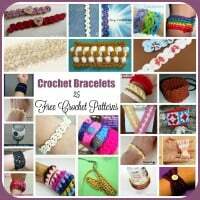 I like the way the cuff is worked, too – Easy to adjust for other sizes. 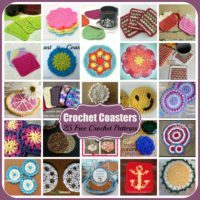 I was hard at work on an everlasting blanket of colorful crocheted granny squares when I realized I barely had enough for a crib-size baby blanket.